What do we mean by luxury? When we talk about luxury, a multitude of words come to mind which we could use to describe it: style, exclusivity, excellence… we think of obtaining something which is within the reach of very few… but what exactly is luxury? The concept of luxury has been part of society from the dawn of civilisation, as the great difference between social classes meant that some items could only be consumed by the elite, the aristocracy. This led to the appearance of this concept: something which most people could not have, but the elite could. These days, when we talk about luxury, we refer to something unique, very personal and exclusive. A luxury is something that most people cannot get, either because its price is prohibitive or because it is a special opportunity that only a few can seize.Whoever acquires a luxury needs to feel unique, special and privileged, and usually gets the feeling of belonging to a certain group. Luxury is linked to a lifestyle characterised by consuming and enjoying top-quality brands and services. A luxurious lifestyle is usually defined by exclusive homes differentiated by their materials, size, location, etc., and exquisite decoration by professional interior designers. Luxury is connected to creativity, attention to detail, special additions and innovations. That’s why homes are among the places where this concept finds full expression, with as much emphasis on luxury furniture as on the choice of materials, and if we want our own homes to convey luxury, we need to take particular care when selecting flooring, wall treatments, and textiles, and in arranging the layout and lighting – all details which make a difference and help make our space unique. As we mentioned above, the ideal solution is to have an interior designer who can bring all our ideas to life and define a decorating concept which uses the different elements of décor in our home to convey the feeling of exclusivity and luxury we want, so we feel unique and totally satisfied. 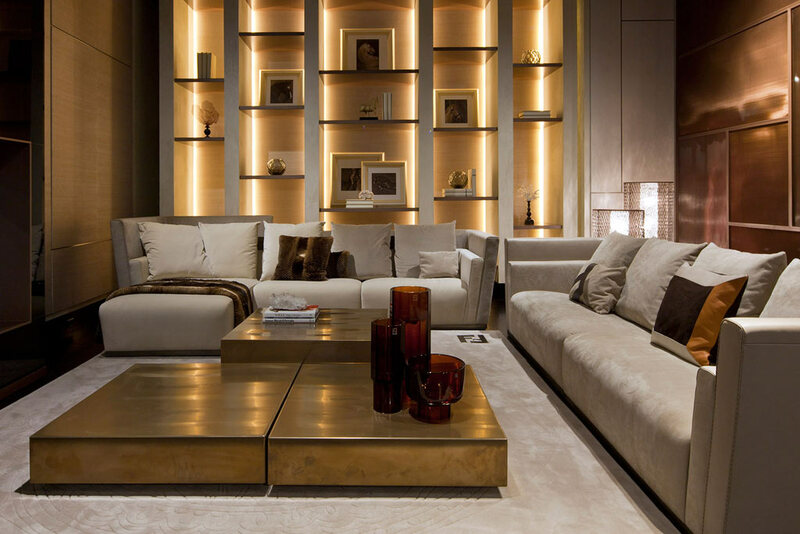 Mobile Diseño has been a professional interior design firm and a supplier of luxury furniture in Marbella for more than 20 years. Visit any of our shops and we will be delighted to advise you on how to make your decorating dreams come true.